LONDON (Reuters) – Manchester City suffered their second straight defeat in the Premier League for the first time in two years after going down 2-1 at Leicester City in a goal-packed set of Boxing Day fixtures. Eden Hazard took his tally of goals for Chelsea into three figures, scoring twice in a 2-1 win at Watford as the Blues remained fourth, 11 points behind Liverpool. 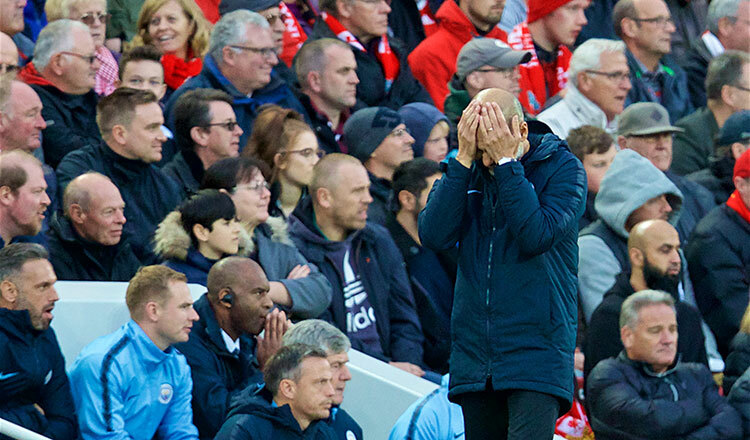 But it was City’s disappointing result at Leicester that was the most intriguing result, especially since Pep Guardiola’s team had taken the lead after Bernardo Silva put them in front before the 15th minute. Leicester withstood some usual City pressing and then seized on their own opportunity late on with Ricardo Pereira unleashing an unstoppable shot beyond Ederson to take the unlikely win. Chelsea bounced back from a home defeat against Leicester as Hazard scored either side of half time, his second from the spot. Watford had won two straight, but with the setback slipped to ninth in the table with 27 points. At the other end of the table, Fulham conceded in the final five minutes against Wolverhampton Wanderers to draw 1-1. Huddersfield were left in last place as they lost 3-1 to Solskjaer’s new look United, who had Paul Pogba to thank for two of their goals and who is finally starting to look like the player the club paid 89 million pounds ($112.50 million) for. Everton’s new signings came to the fore at Turf Moor as Lucas Digne scored twice and Yerry Mina scored his first goal for the club in a 5-1 thumping of Burnley where Richarlison also notched his ninth goal of the season late on.